Jpeg Wmf Ppt Doc to Pdf Converter 3000 is an easy-to-use Word, PowerPoint, JPEG, JPG, WMF to PDF converter. Free Create high-quality PDF with ease. With it, you can view your document, image more vividly with a PDF viewer. 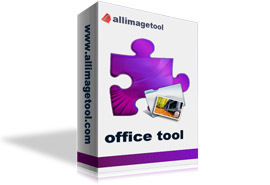 It supports massive formats including doc, docx, docm, ppt, pptx, pptm, jpeg, jpg, wmf etc. The conversion speed is very fast and the quality is excellent with accurately retaining the original text, layout, graphics,images etc. Convert all pages of multi-page PowerPoint to one single PDF. Convert each page of PowerPoint to one single PDF. Merge multiple input images to one multi-page PDF. Support convert Office document, Word, PowerPoint, JPEG, JPG, WMF to PDF.